Only Fools and Horses - The Official Inside Story takes us behind the scenes to reveal the secrets of the hit show and is fully authorised by the family of John Sullivan, the show's creator and writer. 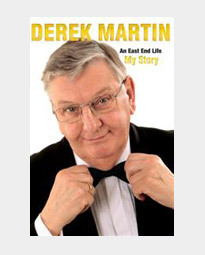 The book is based on dozens of one-to-one interviews conducted by author Steve Clark with the show's stars including Sir David Jason and Nicholas Lyndhurst and key members of the production team and it also contains material from the BBC archives. Steve Clark was the only author on set for the filming of Only Fools and Horses, spin-off The Green Green Grass and prequel Rock & Chips and his book gives a fascinating and unique insight into this legendary series. Dragon's Den star Theo Paphitis a long-time fan of the series - has written a foreword to the book, which also includes rare photographs and other exclusive material. 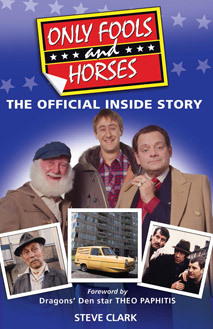 Sir David Jason says: "Steve Clark's book The Official Inside Story is the definitive history of Only Fools and Horses. He is the expert on the series. It is nice to know that the legacy of this classic show lives on for a new generation. As Del Boy would say: You know it makes sense!" Dan Sullivan says: "For more than two decades Steve Clark worked closely with Only Fools and Horses and its creator, my Dad, John Sullivan OBE. 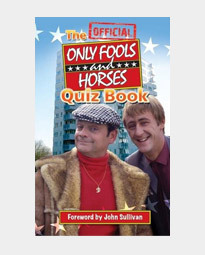 On set and location he has extensively interviewed both cast and crew, and that is why I can happily recommend this book as the only truly Inside and Official telling of the Only Fools and Horses story available." Personally autographed copies of this book signed by author Steve Clark can be ordered BELOW for £9.99. 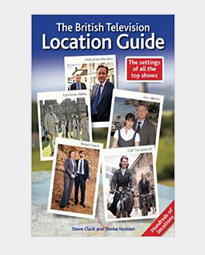 Please state name to be signed to when ordering or email orders@splendidbooks.co.uk after placing your order.